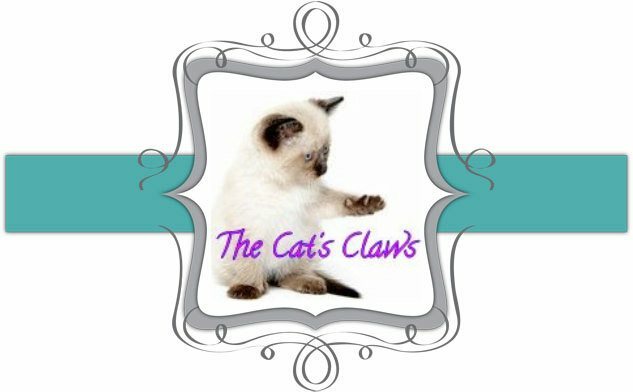 The Cat's Claws: Australis Flip Flops! Yes you heard it here first, Australia recognises the English Flip Flops, "What!" I hear you all shout. And here it is Australis Flip Flops, a medium blue with blue glass flecks. This was two coats and it applied beautifully. With two coats of Speck-tacular, a Picture Polish Festival dupe at half the price. Followed by Seche Vite topcoat just to make sure it was smooth and glossy. I'm afraid you will have to excuse the less than stellar photography as this is my new camera and I'm still getting used to the settings, these were all taken indoors with flash and this has made the colour look a bit washed out. These polishes are a lot more vibrant in real life. Hopefully in this picture you can see Speck-tacular flakies at their best and the glass flecks showing up in the bottle of Flip Flops. And lets hope we can all wear our flip flops soon, I'm so over the rain here in Sydney at the moment. Lol, yes I know, "excuse me what colour is that?" "thongs!" followed by stunned silence. I can picture it all now.